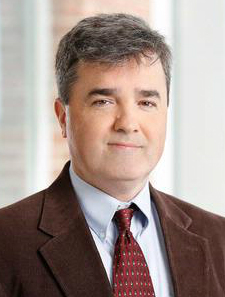 Edward Brown earned his BS with honors in physics from Wake Forest University, and his PhD in physics from Cornell University. He was a post-doctoral fellow and instructor at Massachusetts General Hospital/Harvard Medical School in the Department of Radiation Oncology before joining the University of Rochester Department of Biomedical Engineering, where he is now an associate professor with tenure. Dr. Brown's research focuses on tumor metastasis, and how it is influenced by the extracellular matrix, neuronal activity, and stress signaling. To study these phenomena he develops and uses novel optical techniques. He invented the multiphoton fluorescence recovery after photobleaching technique (Brown et al Biophys J 1999), demonstrated the first application of multiphoton laser-scanning microscopy to tumor biology (Brown et al Nat Med 2001), and pioneered the application of second harmonic generation (SHG) to study the tumor extracellular matrix (Brown et al Nat Med 2003). More recently he has developed the first technique to allow the quantification of SHG emission directionality in intact tissue (Han et al Optics Exp 2010) and demonstrated that SHG directionality predicts metastatic involvement in certain types of breast cancer (Burke et al J Biomed Opt 2013). He was a Pew Scholar in the biomedical sciences, a Department of Defense Breast Cancer Research Program “Era of Hope” Scholar, and is an NIH Director’s New Innovator.